« Roberto D’Aubuisson: A U.S. Ally in the Fight against Soviet Sponsored Communist Terrorism in Latin America. Yes, the communists were bloodthirsty monsters in their quest to overthrow President Batista. They murdered many thousands of people following the revolution. 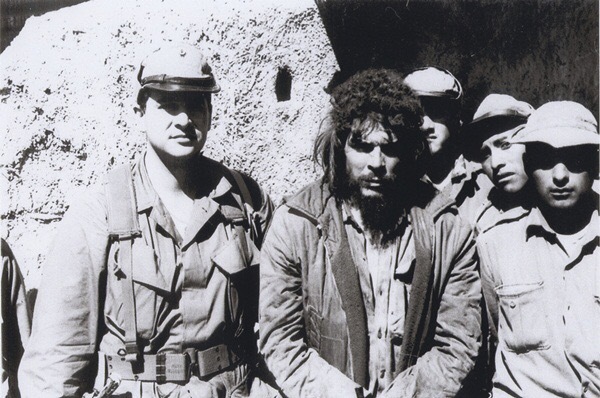 Through the decades, the leftist regime has murdered and imprisoned dissenters while Cuba, which once enjoyed the highest standard of living in Latin America, has become a living hell hole of poverty and despair. When will people learn that leftism just doesn’t work? this is an accurately told version. Only an uneducated leftist would disagree with this.. There is some definite truth here, some interesting background and some more truth again, some long overdue credit to Rodriguiz, an American hero. up of a certain Who would disagree with this? certainly not me. after all it’s historicalttuthproject.com. a place where revisionism by unpatriotic leftist scum is not tolerated! Keep up the good work! By the way, I like all of your other articles too! I received this link (see above) from a user named “Christian.” It is an article about Che which further corroborates my own column. The article is basically an interview Newsmax (a great news site) did with Felix Rodriguiz about Che. It explains much about Che’s own fascination with killing others and what a homicidal maniac he was. Rodriguiz also relates how Che, dressed like a beggar, cowardly surrendered by thrusting his arms upward while pleading for his own life. In the end, Che died the same way in which he executed countless thousands of others – by an unceremonious bullet fired at close range. Hi all: I received this link from a user named “Christian.” It is an article about Che which further corroborates my own column. The article is basically an interview Newsmax (a great news site) did with Felix Rodriguiz about Che. It explains much about Che’s own fascination with killing others and what a homicidal maniac he was. Rodriguiz also relates how Che, dressed like a beggar, surrendered by thrusting his arms upward while pleading for his own life. In the end, Che died the same way in which he executed countless thousands of others – by an unceremonious bullet fired at close range.